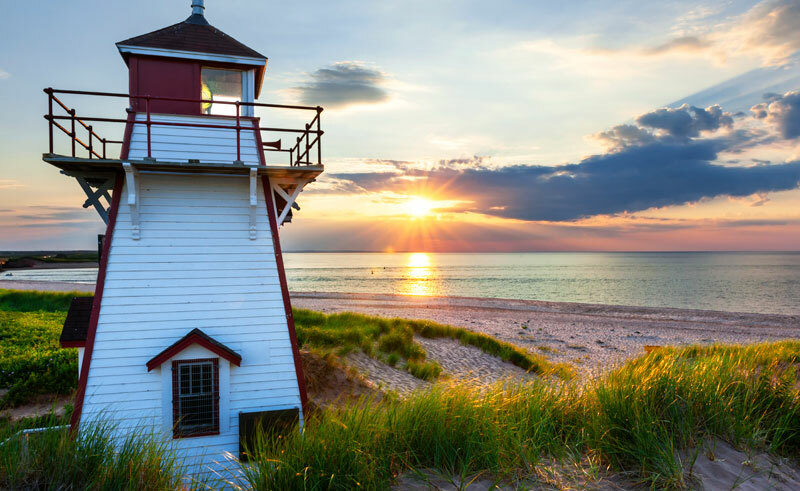 Embrace the beauty of the Maritimes on this comprehensive self drive-itinerary which features spectacular coastal scenery, charming fishing villages and the magnificent national parks of Kejimkujik, Prince Edward Island and Cape Breton. Your journey will take you through some of the most stunning areas of Nova Scotia, New Brunswick and Prince Edward Island. 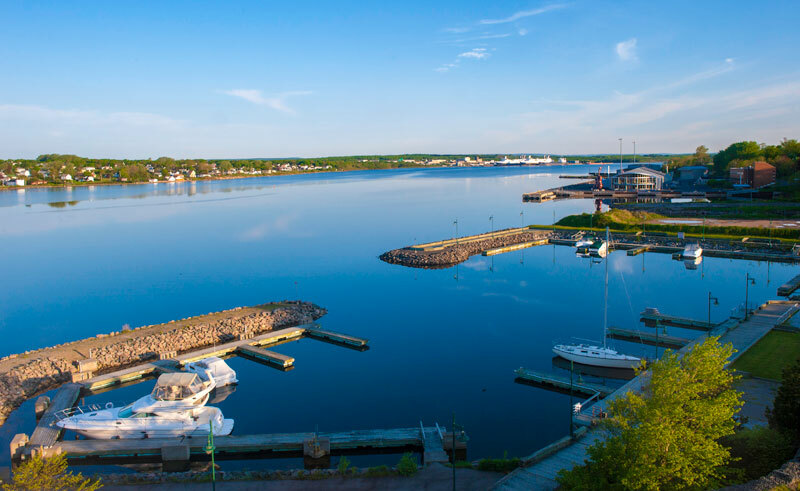 You'll enjoy the sites of the historic port city of Halifax, explore New Brunswick' s capital of Fredericton and enjoy a lobster fishing cruise and mouth watering lobster lunch in Shediac Bay. This itinerary includes a wonderful mixture of accommodation from city hotels to boutique inns and picturesque resorts. Arrive in Halifax, collect your rental vehicle and explore this true maritime city. First settled in 1749, Halifax today is Nova Scotia's capital. Today you'll enjoy a full day in Halifax to explore the boutique shops, pubs and cafes of Privateers Warehouse and Historic Properties. Enjoy splendid views of the city from the Halifax Citadel National Historic Site and visit York Redoubt National Historic Site, a 200-year-old fortification overlooking Halifax Harbour. Head south to Lunenburg, visiting Peggy's Cove along the way. Peggy's Cove is a small village with houses built right into the granite rock and a lighthouse overlooking the Atlantic. Old Town Lunenburg, a UNESCO World Heritage Site, is a lovingly restored Victorian era town that begs you to wander and explore. Cross the peninsula and make a stop at Kejimkujik National Park and National Historic Site, renowned for its hiking trails, wilderness lakes and rivers. Park interpretive staff conduct outings on foot to reveal the natural history of the area, including the Mi'kmaq petroglyphs. Continue along to Annapolis Royal. Depart Annapolis Royal and drive to Digby to board the ferry to Saint John, continue west along the Fundy Coastal Drive. This dramatically scenic drive introduces you to the Bay of Fundy, one of the Marine Wonders of the World. Arrive in St. Andrews, one of Canada's most beautiful seaside resorts. This resort combines historic sites, with charming studios and galleries, fine-dining restaurants and simple cafes, making it a wonderful spot for a day of relaxation. 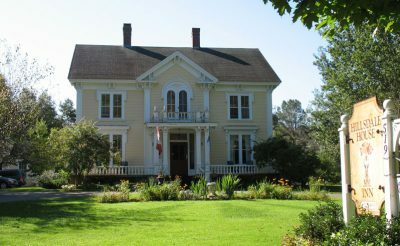 In addition to many attractions, including Kingsbrae Gardens and the Blockhouse National Site, St. Andrews is a popular spot for whale watching, sea kayaking or sailing trips out in to the Bay of Fundy. Today head north inland en route to Fredericton. After a short drive you have ample time to explore the many visitor attractions of this city. We suggest a visit the historic Garrison District. Several of the buildings at this site have retained their original heritage architecture, creating a remarkably old world feel in the centre of a modern city. Today drive the Lower River Passage route south along 102 highway. The heritage of centuries surrounds you, and pristine unspoiled views of the St. John River open at every corner of the country roads. In Saint John where the river enters the Bay of Fundy visit the world-renowned Reversing Falls. The highlight today is the scenic drive along the Bay of Fundy. Witness the power of the world's highest tides at the Hopewell Rocks. Visit the informative Hopewell Rocks Interpretive Centre and learn everything you need to know about the tidal phenomenon. Take a drive through Fundy National Park before reaching Moncton. Before leaving Moncton we suggest a stop at Magnetic Hill where you can put the car in neutral to experience the illusion of being pulled up hill by a 'magnetic force.' 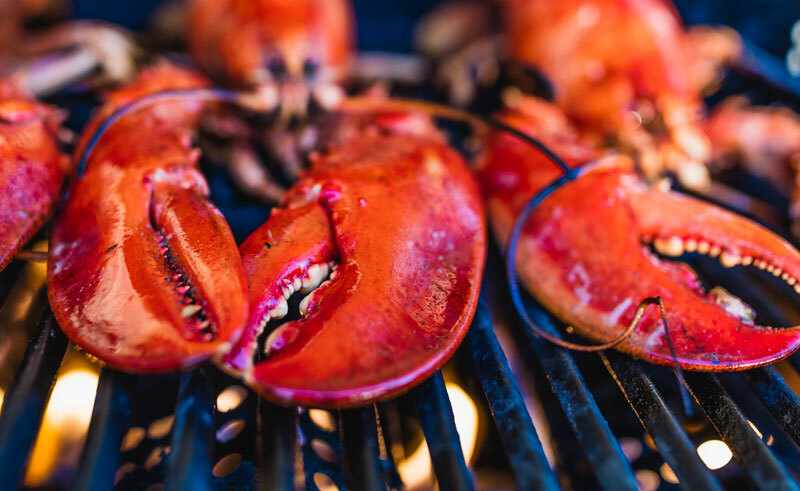 Continue to Shediac, known as The Lobster Capital of the World for its lobster fishing, processing plants, live-lobster tanks and the famous Lobster Festival. Enjoy a lobster fishing cruise & dine on fresh lobster. Then follow the Confederation Bridge, the longest bridge in Canada to Charlottetown in Prince Edward Island. Explore Charlottetown, the birthplace of Canada's confederation. Province House National Historic Site was the scene of meetings that led to the formation of Canada as a country in 1867. 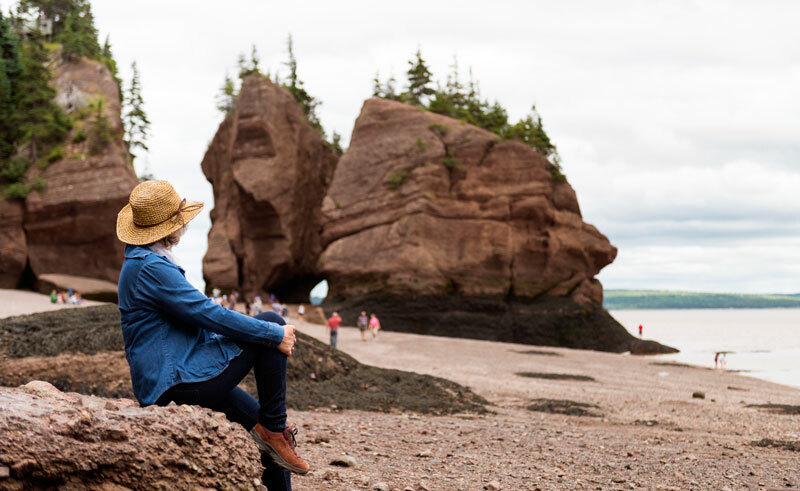 Spend the morning exploring Prince Edward Island National Park where the sandstone cliffs, beaches and reddish sand dunes take your breath away. Then take in the beautiful landscapes made famous by novelist Lucy Maud Montgomery in the popular 'Anne of Green Gables' series. Depart Charlottetown for Wood Islands ferry crossing to Caribou, Nova Scotia. Drive the short distance to Pictou and visit Hector Heritage Quay, where a full scale replica of the Hector has been built using traditional ship building techniques. Depart Pictou and continue to Cape Breton via the Canso Causeway and onto Baddeck. This scenic village overlooks the beautiful Bras d'Or Lakes. This morning head north to discover the Fortress of Louisbourg National Historic Site - an incredible 'living museum'. As the largest historical reconstruction in North America, it's an impressive restoration of a French garrison town dating from the 1700s. Don't miss a visit to the Alexander Graham Bell National Historic Site in the village of Baddeck, a museum dedicated to the life and inventions of this fascinating man, who spent his summers on the shores of the Bras d'Or. Today you will follow the famous Cabot Trail clockwise – one of the most spectacular drives in all of Canada. Follow the route along to the French Acadian community of Cheticamp, which has a distinct Acadian flavour noticeable in the architecture, people, language and music. Continue along the Cabot Trail which winds around the rocky splendour of Cape Breton's northern shore, ascending to the incredible plateaus of Cape Breton Highlands National Park. The park has 26 hiking trails ranging from 20-minute short walks to challenging hikes through stunning mountain and coastal landscapes. Depart Ingonish heading south towards Sydney and continue onto Canso Causeway. From here you will drive along the Eastern Shore and follow the Marine Drive Route where you will find nature, history and culture, as well as rugged coasts, tranquil bays and beaches, unspoiled forest fauna and crystal clear lakes and streams. Be sure to visit the communities en route including Guysborough – an inviting neighbourhood with distinctive architecture overlooking Chedabucto Bay and Sherbrooke, a typical Nova Scotian Village from the 1860's where most of the interpreters are dressed in period costume. Continue on to Liscomb Mills where you can relax and enjoy your surroundings. 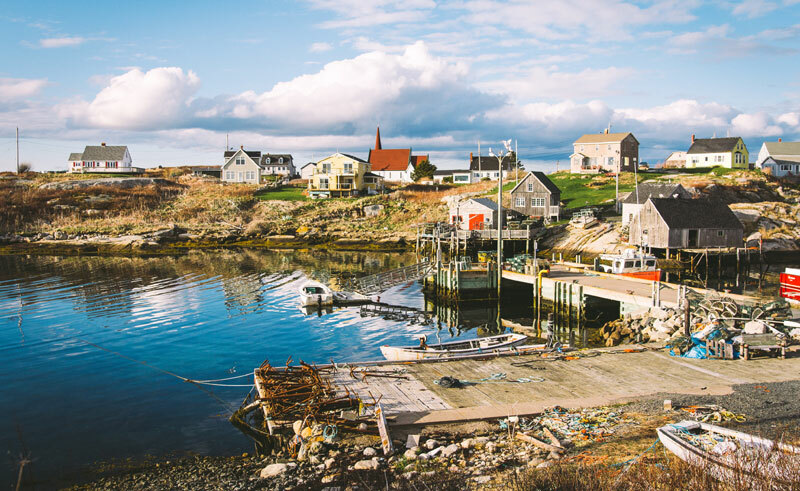 Take a leisurely drive back to Halifax, along the way visit Musquodoboit Harbour and Valley, a haven for nature lovers, and Martinique Beach, the longest beach in the province. Originally built in 1928, the 260 room Lord Nelson retains an air of a bygone era with plenty of welcoming character in the elegant lobby. Built in 1859, Hillsdale House has been welcoming visitors to the National Historic District of Annapolis Royal for over 150 years. This historic hotel comprises 17 carefully restored heritage buildings, housing 54 richly decorated suites and 6 independent dining establishments. 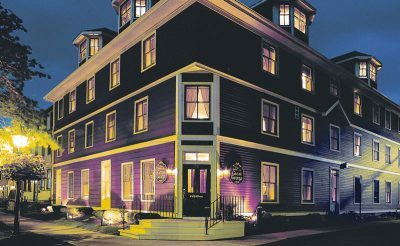 Originally built in 1850, this 11-acre resort sits on the shores of Cape Breton's glorious Bras d'Or Lakes at Baddeck, the gateway to the renowned Cabot Trail.